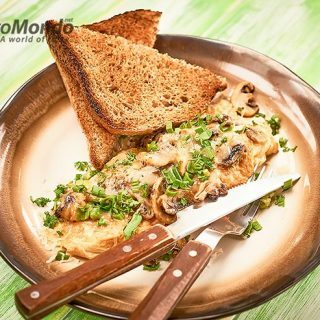 50+ WAYS WITH EGGS Archives - Gustomondo - There's a world of taste out there. 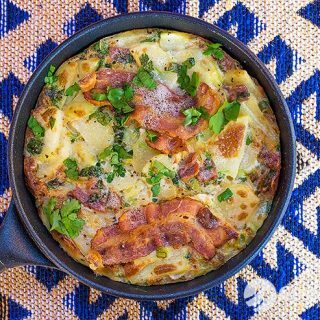 Crispy bacon frittata recipe with spring onion and parsley. Short video included. Breakfast mini tarts with light puff pastry. Short video recipe. Lift your tinned baked beans to another level with this simple recipe. Stuffed mushrooms recipe. Ham, cheese, veg and quail eggs. Skillet eggs recipe. Shiitake, spring onions and chili. Videopost. Curried cauliflower eggs with Swiss chard. Simple and tasty. One of the best omelets ever. Girolles and spring onions. Great way to enjoy girolles mushrooms. Sauteed girolles with bacon and fried eggs.